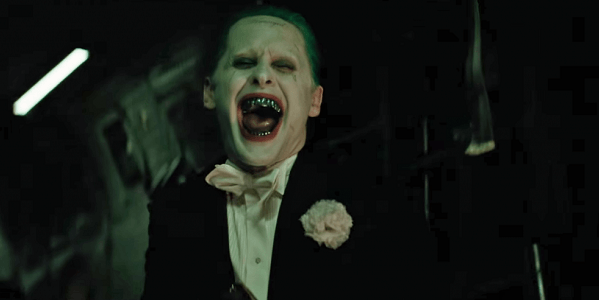 Based on what we’ve so far seen from Suicide Squad, it’s clear that the movie is going to take us to some very dark and twisted places (many of which The Joker will no doubt be responsible for). That would explain why many fans assumed it would receive an R-Rating, but we’ve actually known for a while now that it will end up being PG-13. Talking in a recent interview at CinemaCon, Suicide Squad director David Ayer confirmed that there were never any plans to go down the route of making this movie with an R.
It doesn’t sound as if Suicide Squad will suffer too much from being PG-13 then, though it will be interesting to see whether or not the movie gets an R-Rated cut when it reaches home video similar to the planned “Ultimate” version of Batman V Superman: Dawn of Justice. Don’t give up hope of seeing an R-Rated Joker on the big screen in the near future though, as Ayer added that a sequel utilizing that rating, “would be worth lobbying for.” We’ll just have to wait and see what happens, but chances are that if Suicide Squad‘s a hit, Warner Bros. may be hesitant to produce an R-Rated sequel, given that it will limit the box office haul.